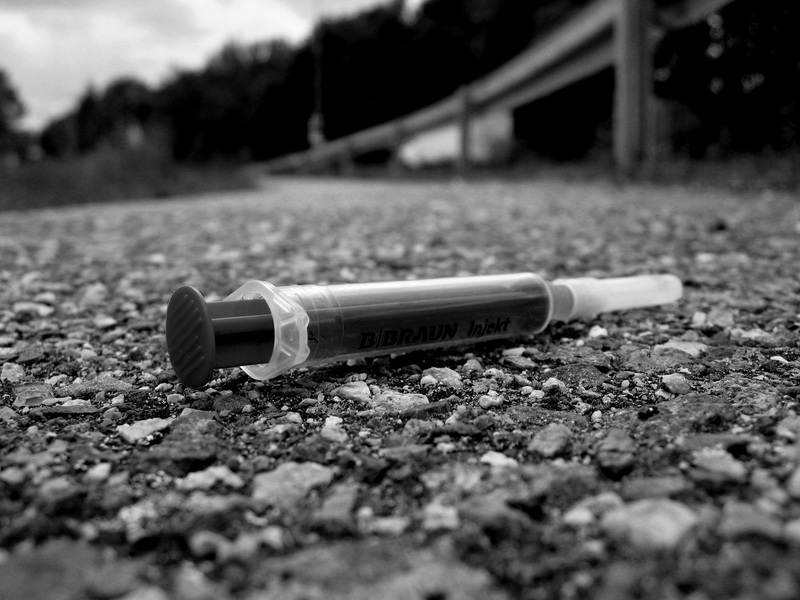 ST. GEORGE — St. George has a heroin problem. Despite the outward image of a clean-living city, there lurks a deeper issue. Heroin has had an adverse effect on families, health professionals, law enforcement and the individuals addicted to it. One St. George mom, whose son is currently recovering from heroin addiction, shared her story with St. George News on the condition of anonymity for her son’s protection in continued recovery. 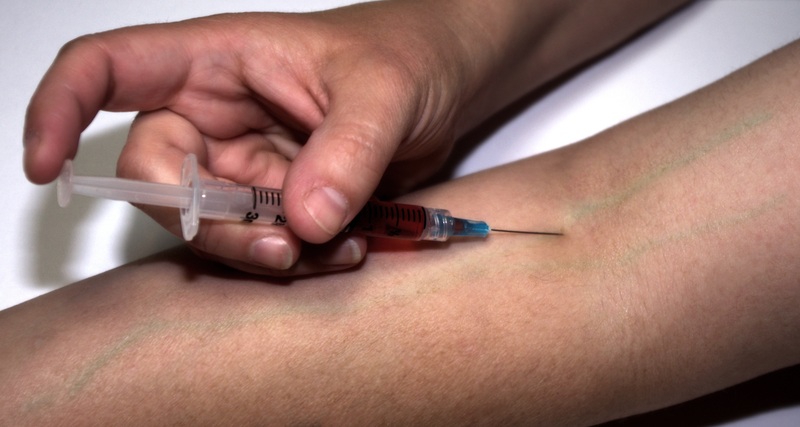 Many heroin addicts start by taking pain medication. 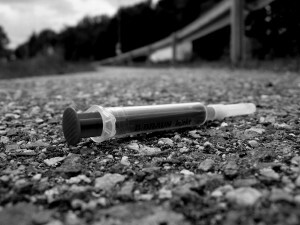 According to the National Institute on Drug Abuse, in three recent studies, half of young people polled who injected heroin said they were abusing legal opioids before turning to heroin. Many of those same users said they switched to heroin because it was easier to purchase and cost less than black market prescription narcotics. There is a notion in Utah that because prescription drugs are prescribed by doctors, it is somehow morally acceptable, Nixon said. Addiction and dependency often begins with a prescription to Vicodin or oxycodone. When their prescription runs out, people in increasing numbers are turning to heroin. The demographics of those turning to heroin are often surprising. Statistics provided by Intermountain Healthcare’s Dixie Regional Medical Center in St. George show that the incidences of opiate abuse (the medical center does not have separate numbers for heroin) have increased over the years: 150 cases of opiate abuse in 2013, 180 in 2014 and 204 in 2015. What is also surprising is how quickly prescription drug addicts are switching from swallowing pills to injecting the street drug, Dr. Richard Moody, clinical director and psychologist at TurningLeaf said. It sometimes happens almost overnight. Over the last five years, there has also been an increase in users of methamphetamine switching over to heroin, which is also unusual. Aaron Ward, clinical director for Steps Recovery Services in St. George, said there has been a progression from the mid-90s when an initiative was undertaken — by patient advocacy groups and The Joint Commission on the accreditation of health care organizations, among others — to ensure that patients had enough access to pain medication. A series of protocols were put in place to address the lack of pain management, and doctors started treating long-term, chronic pain issues with opioids more often and more freely. The affordability of heroin is something Ward also hears from his clients. “What I hear from everybody nowadays is ‘I did pain pills and I couldn’t afford them any more; they’re expensive, they’re harder to get now, so I switched over to heroin.’ I would say most of the people that I deal with say that,” Ward said. Our St. George mom said that when she reached the peak of her frustration with her son’s addiction, she questioned every aspect of her life. It was a really exhausting, difficult, gut-wrenching time, our St. George mom said. Eventually, she realized that her son wasn’t the only one who needed help. “I needed help too,” she said. Ten years ago methamphetamine was the leading street drug, Nixon said, but since then, heroin has outstripped meth to become the prevalent drug of choice. There has also been a corresponding increase in overdoses, he said. One of the reasons for the overdoses is that some addicts try to quit opioids, and when they decide to seek out heroin, their bodies cannot handle the stronger effects of the drug. When addicts relapse, they are seeking a high similar to what they experienced on opioids, Nixon said, but their tolerance has dropped since they attempted to go clean. Often when they attempt to seek that same level of intoxication, they take too much and overdose as a consequence. Drugs have been a part of the St. George subculture for some time, Moody said, and the volume of heroin in particular has seen an increase. Part of the reason for this is St. George’s location on the Interstate 15 corridor. Drugs pass through the area en route to larger cities such as Las Vegas, Nevada, and Denver, Colorado, so it is a convenient stopping point for traffickers. St. George is also only six hours from the border of Mexico, Nixon said, and a lot the heroin is coming straight through the border and to points across the U.S. Since St. George is part of that distribution network, it takes very little time to arrive. Dr. Darrell Wilson, an emergency room physician for Dixie Regional Medical Center, said that emergency room personnel see heroin-related emergencies on a regular basis. The main danger of a heroin overdose is the user stops breathing, Wilson said. Often what occurs is the person takes too much and those around him do not notice that the user has stopped breathing. Further complicating matters is that many times the drug user has also been simultaneously using other narcotics. Once medical personnel have identified what the issue is, medicine that counteracts heroin can be administered to help the patient. I think if you suspect you have an issue, then you have an issue. If you’ve come to the point of suspecting there’s a problem in your house, more than likely there is one. When her son was using heroin, our St. George mom said, there were fewer resources available for recovery. Times have changed, however, and there are more ways to get help than before. Attending Al-Anon meetings proved helpful to her, even if she was initially resistant. There has been a push within St. George to bring awareness to the issue, Ginger Sorensen, general manager and co-owner of TurningLeaf, said. People feel more safe to talk about it, she said. They are able to express what’s going in their families. When people open up more, it feels like the problem is even more widespread. Heroin detox is further complicating the addict’s experience because it is so painful, Moody said. Those attempting to get clean often go back to shooting up after a short time rather than face the pain of withdrawal. Adding to the difficult road to recovery is the fact that many addicts have ruined themselves financially, Nixon said. People often think that addicts can pay for treatment with the money they would have spent on narcotics. It is commonly the case that those who need help simply have no more money to spend on recovery. Her son admitted himself to a recovery center voluntarily. It took him four years, she said, but he paid back every penny of his recovery bill. Her son has been clean for approximately five years. So a little got more and more. Sayin’ a little better than before. We’ve been dancin’ with Mr. Brownstone. But on a serious note, it is very sad to see families getting destroyed by addiction. I knew a pregnant woman getting off her heroine addiction. She was getting drug treatment from a clinic through her doctor to help her decrease dosages to eventually quit, but she was going through crazy withdrawals, etc. it broke my heart to see it. to overcome her addiction. We were referred to Steps Recovery. My child enrolled but she relapsed and left the program. After living on the streets my child realized that she didn’t want to be a slave to her addiction. She contacted Steps in a desperate move to get help. After going back, she was released 3 days later, with the excuse that she was beyond help. Later we were charged thousands of dollars for services that were not rendered. Since this experience my child has received recovery help from another rehabilitation service and has been clean and sober now for over a year. I guess my point is… be careful when choosing a recovery program because in my opinion that they just want your money and could care less about your child. Be careful when trying to slam a rehab program. They have no more power over your daughter getting clean than you do. All rehabs have rules, some are stricter than others. Sounds like she wasn’t ready to follow rules until the next program. Sometimes it takes 5-10 rehabs and many years before they are ready. And, she is totally responsible for her recovery, not the facility. Regardless of the staff and their philosophy, it’s all up to the addict to seek recovery. Also it sounds like mom needs to take care of herself and quit pointing fingers. There is help out there for the family members of addicts, it would help you in this case. don’t they have facilities that confine the addict after a voluntary commitment? what are those called? Your son has done something most addicts will never be able to do. Your son is strong. Help him stay strong. Is rehab 30% cheaper in St George? I have no idea what he is talking about that heroine wasn’t that big in the 80s and 90s? Even geraldo got in on the help for them with blood transfusions. I may b wrong here but lots of people live in pain BC doctors r afraid to prescribr them. Yet one incarcerated addict said, ” if I can’t get it I will find out how it’s made and make it ” … it seems to me an addict unwilling to get help is making innocent people pay and suffer whilst their still living pain free some how. When you leave your borders open, the rats will run through. The Clintons and Obama did nothing to stop the flow of drugs coming into this country and ignored the issue. So sad to see so many suffering from this epidemic, it is so vast and has affected millions, and will continue to do so until we stop the distribution and see it for what it is. The penalties for selling and distributing these drugs should be very, very severe! 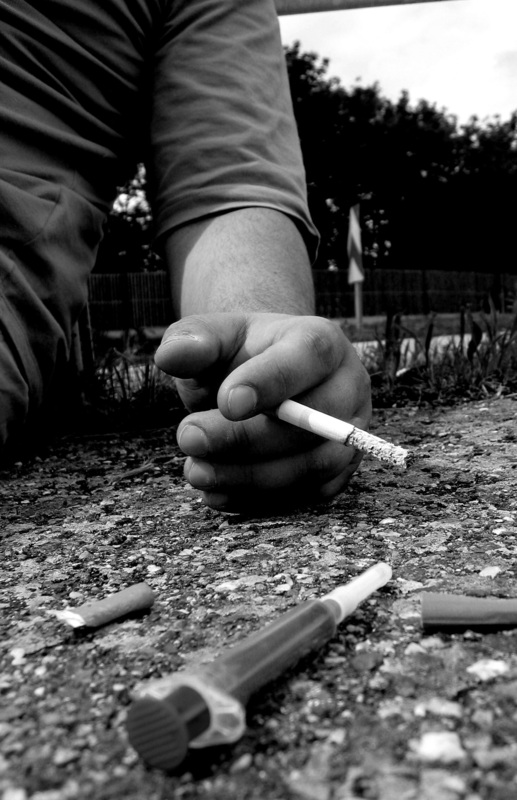 Also, addiction is not a disease, it starts from the need to alleviate pain on their own, by doctors prescribing the opiates and painkillers (in order to get kick-backs from the suppliers) or for the person to get away from their personal internal pain and to get high, and then it all proceeds downhill from there. To say it is a disease gives those addicted an excuse when an excuse is not what they need, they need a locked-up program with medical assistance until they kick that TERRIBLE habit. Thank you President Trump for stepping up to the plate on this issue!! This is on issue that has nothing to do with politics, this is at the top of the list and one of the most pressing issues affecting this country.